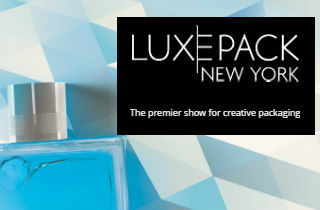 Packaging Innovations London is co-located with Luxury Packaging and ADF. Packaging Innovations London is the UK's most exclusive packaging event. Held centrally at Olympia London, the UK’s definitive packaging event, Packaging Innovations & Luxury Packaging, alongside ADF, offer the exclusive chance to view 1000's of brand new solutions in order to craft a consumer experience like no other. Meet over 170 leading suppliers' eager to showcase the latest innovations as every year 100's of products are launched, offering visitors the ideal opportunity to get first access to cutting-edge solutions. Packaging Innovations London is complemented by a free-to-attend programme of inspiring seminars, engaging show features and networking opportunities, offering the tools needed to revitalise packaging, increase brand awareness and boost sales. If you are interested in learning about Packaging Innovation's annual spring event in Birmingham, please go to the Packaging Innovations Birmingham portal.